We love an opportunity to introduce our daughter to the wonders of the natural world through travel. 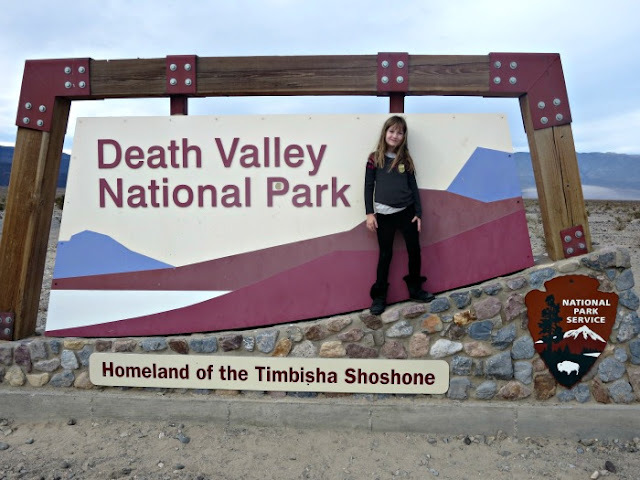 Our first trip this year was to an amazing place that is familiar to all of us by name - Death Valley. This was a question that Smarty asked on the way to the park. We had to revisit what exactly the desert is. 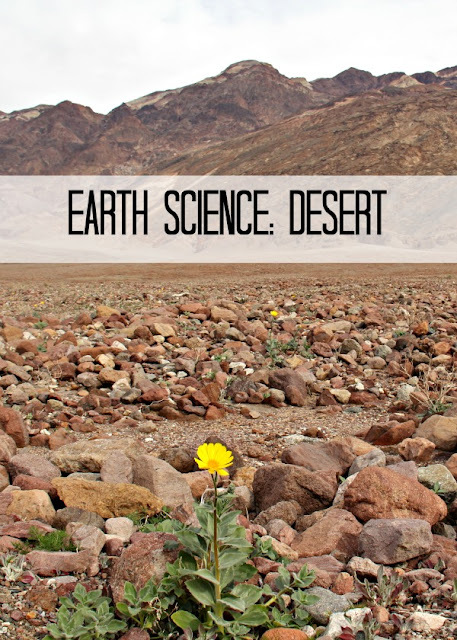 According to popular definition, desert is a place that receives less than 10 inches of rain a year AND has a high evaporation rate through ground or plants. Amazingly, about third of the Earth's world mass is arid or semi-arid, including many parts of the United States. 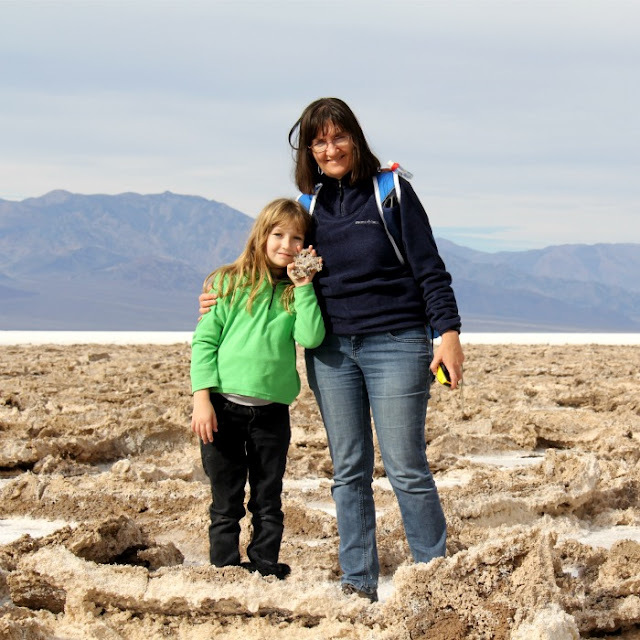 But what makes Death Valley special is that so much of it is under the sea level, and it's stuck deep between two mountain ranges in a rain shadow from Sierra Nevada mountains. This is why it's one of the hottest and driest regions on Earth currently holding a world record of highest temperature ever recorded (in shade) of 134 degrees Fahrenheit or 54.6 degrees Celsius. Despite the popular image of Death Valley as impossibly hot, it actually gets quite cold in winter. We visited in January, and we most certainly needed sweaters during the day and warm jackets in the evening. We also happened to get an overcast weather during our stay and temperatures never rose above 65 degrees Fahrenheit. 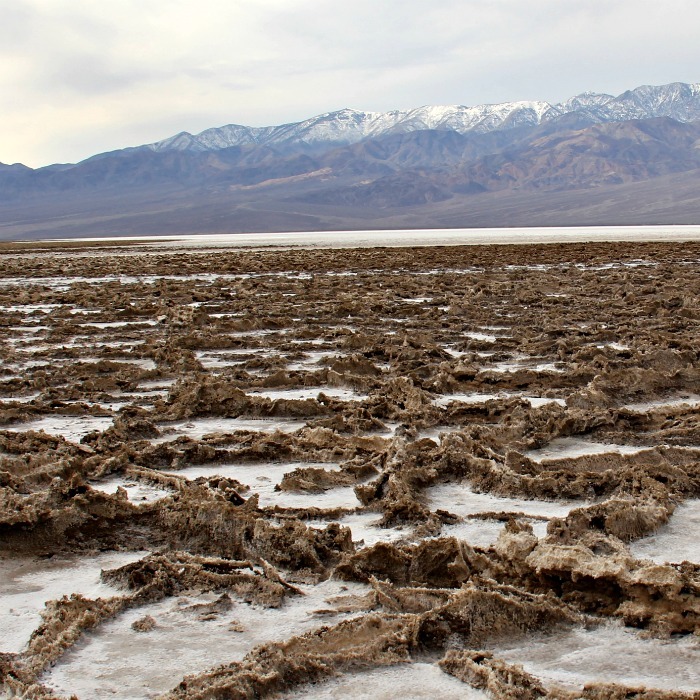 Why Is There Salt in Death Valley? We were lucky to join a ranger talk at Badwater salt flats. The subject was Geology of Death Valley, and he explained how salt flats are formed by rains falling on the mountains above Death Valley and collecting on the bottom in winter months. 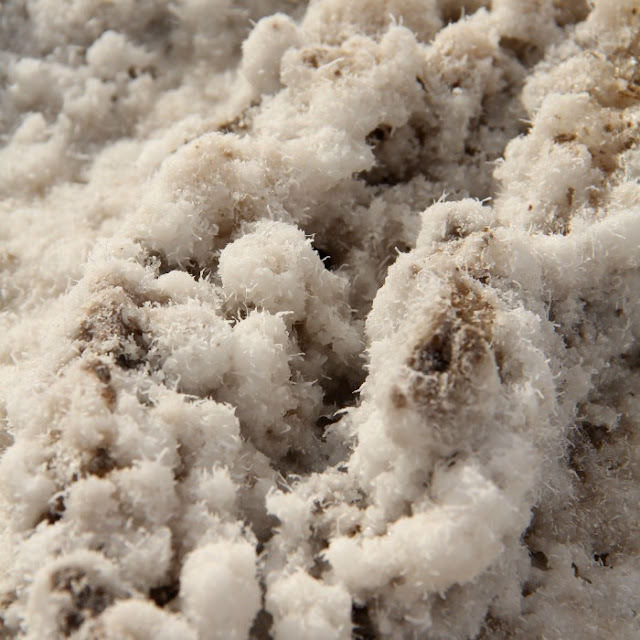 These rains wash the minerals out of the mountains and salt recrystallizes on top of mineral mud in warm months. The salt flats of Death Valley is mostly our regular table salt, and Smarty did not hesitate to try some. I did not let her get carried away, because it does have Borax (those little hair you see in the picture above) and other minerals mixed into it. 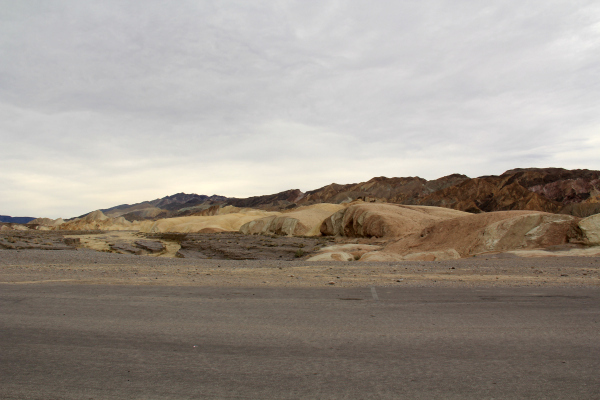 The ranger also explained a bit about volcanic activity in the region and how Death Valley is still sinking down being pressed between two tectonic plates and at the same time it is filling up with debris from surrounding mountains. It was a great talk that Smarty listened to very attentively. 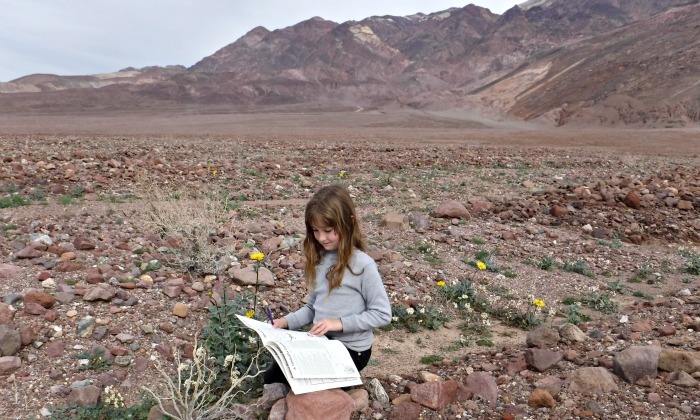 Are There Plants and Animals in Death Valley? We intentionally chose a winter month to visit Death Valley, because that's when winter rains bring desert flowers, and it's incredibly moving to see them rising through rocks. Desert Valley actually has a lot of fresh water holes (Furnace Creek oasis gets all its fresh water from local underground springs and supports a pool and a golf course), so it has a thriving eco system. We attended another interesting ranger talk in the evening about coyotes and their language, and we learned that Death Valley supports a sizeable population of wild life in addition to plant life. After attending the talks and completing the activities in the booklet that was given to her at the visitor's center, Smarty was very happy to become a Junior Ranger and receive her official Junior Ranger badge. 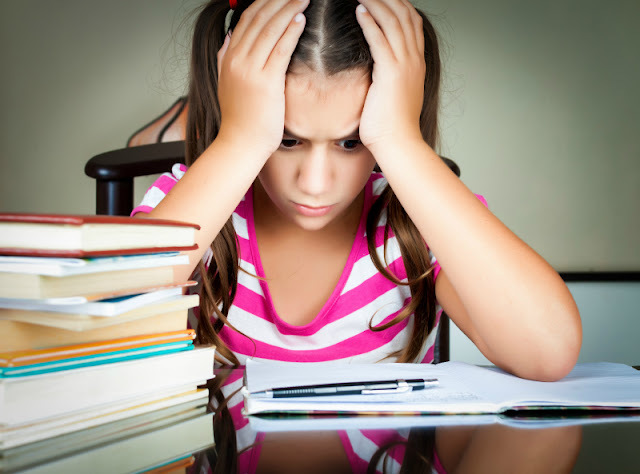 What field trips did you go on lately? Follow my Earth Science Activities for Kids Pinterest board. Very cool post! I learned several things I didn't know. I have always wanted to travel out west. This sounds like a great trip! I think winter is definitely the time of year to visit. 134F!!! A friend of mine was part of a running team that ran the entire Death Valley in the fall a couple of years ago. It was interesting learning about all the work it took to accomplish.